There’s one thing I love during summer time and it’s sweet tea. There’s just something about that sweet cold drink that calls my name in the summer afternoons! It might also be influence slightly by my addiction to Duck Dynasty. Also I realize summer’s almost over here in the USA, however I’m still enjoying this as the warm days wind down! Anyway, after spending way too much on gallon jugs of the concoction at our local BBQ restaurant, I decided to give it a shot and make my own. 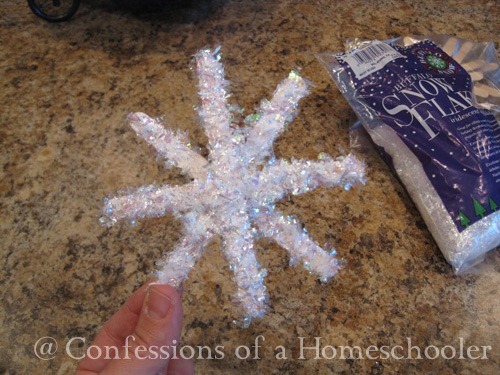 It’s surprisingly easy to make. If you don’t like sugar, please stop reading now. Heat up about 4 cups of water until boiling and then set tea bags into the water and let steep for about 5-10 minutes depending on how strong you like your tea. 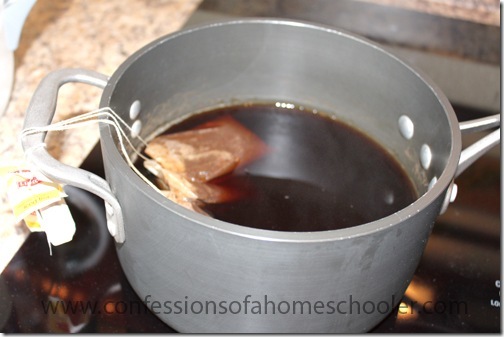 While tea is steeping, mix 1 cup sugar with about a half a cup of water and stir well to dilute the sugar. Next fill a pitcher about half way full of ice cubes and set aside. After tea is done steeping, remove tea bags and then stir in the sugar mixture. 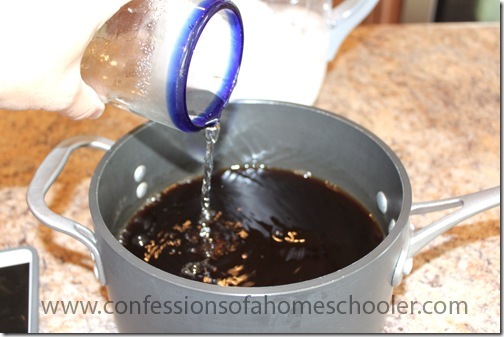 Stir well to assure sugar is fully dissolved. Taste the tea mixture to make sure it is okay, you may need to add a pinch more sugar to taste. You’ll want to do this while the tea is still warm though so it dissolves adequately. 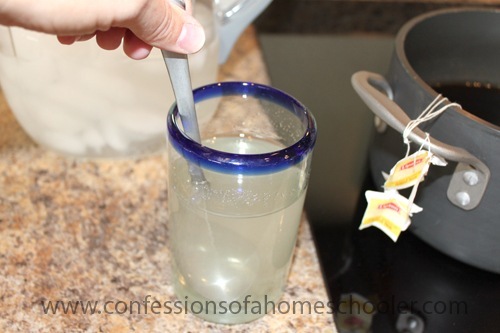 Finally pour your tea mixture over ice and then fill pitcher the rest of the way full with cold water. Pour into your favorite cup and enjoy! Tip from the Trenches: I’ve noticed this tea tastes a little “odd” after about 2-3 days. I think the sugar starts doing something in there, but I can’t prove anything. Have a great summer or fall drink recipe to share? Make sure to leave a comment below! 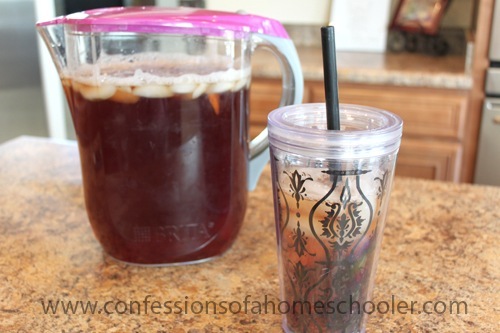 Mmmm I LOVE homemade iced tea!! Will try this recipe…I like putting some lemon slices in for a little zip of flavor….can also try different flavours of decaf teas, like Raspberry, or blueberry…have fun with it! This is pretty close to how I make sweet tea for my family except I don’t put it over ice. A pitcher (1 gallon) last a day around here as that is all I drink. I am from the South and when I was growing up we used 2 cups of sugar to one gallon! As I got older we cut down. We never poured it over ice while making it, but just put ice in our glasses. I make it with 2 cups of sugar and don’t pour it over ice. I end up making it everyday. With 5 family members, we go through the tea! The last few years I have been making it over ice. That’s how my husband liked it so i started doing it. It;s good. WE can’t keep tea long at all. I add baking soda too Susan. Makes it more refreshing. Yum! I love sweet tea and your photos are terrific! I think it’s really important to dissolve the sugar in the tea when it is hot so you don’t have any granules. Sometimes I make a simple syrup with fresh mint and use it to sweeten the tea. It’s very refreshing. Try making a simple syrup instead of just adding the sugar: boil sugar in water until the bubbles go all the way to the top (that’s the important part–it isn’t syrup if you don’t wait for it) and add it in to the tea. I don’t know if it’ll extend the fridge life, but it improves the flavor. 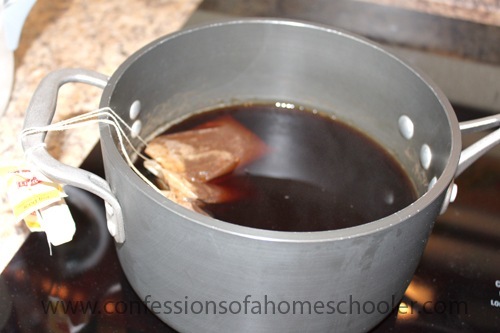 As for me, I use four Luzianne teabags and one herbal mint teabag, and one cup of sugar per gallon of tea. Mmmm, refreshing! 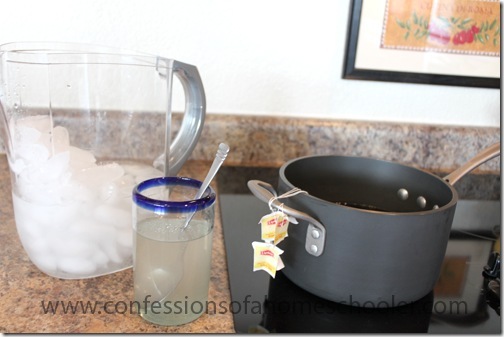 Being from the south, I never really thought of a sweet tea recipe. It’s just something that’s almost always in the fridge, at least in hot weather! If you only want a half gallon at a time, try making it using the method described here, except add your sugar directly to the hot tea. Once it’s all mixed up, measure out half and freeze! Next time you want tea, you will have a nice cold half gallon pretty quickly (especially if you freeze the concentrate in an ice cube tray).